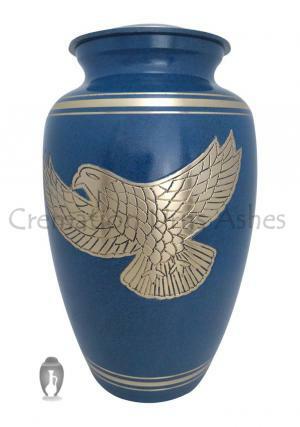 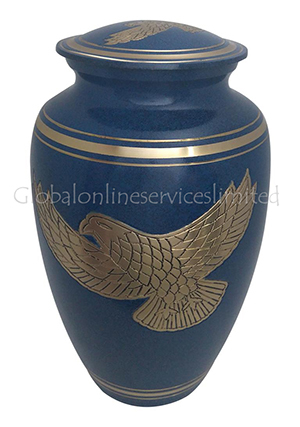 Golden Eagle Brass Blue Adult Urn is made of solid brass for its durability and presence to carry ashes of the cremated. 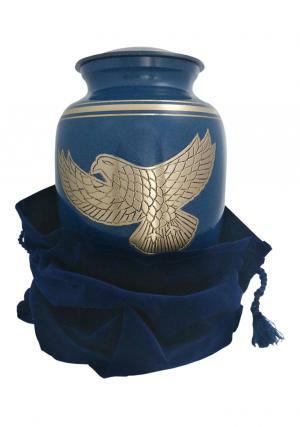 The adult memorial blue urn depicts an eagle in flight which is beautifully hand engraved and brushed in gold and has gold bands circled around the urn on top and bottom. 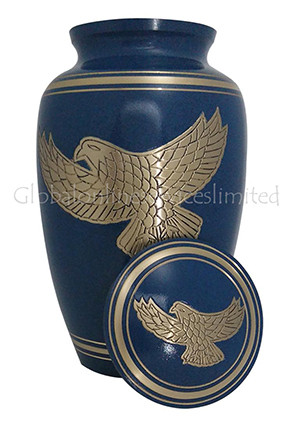 The Eagle Brass Adult Cremation funeral urn is decorated with lid on the top in screw threading to secure the ashes inside the urn. 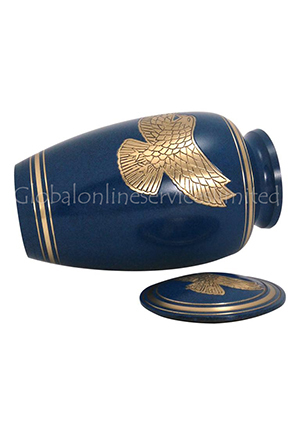 The lid is decorated in eagle with detailed feather engraving surrounded by bands in gold.